I love this time of year. All the berries are in season. Festival Foods here in town has these babies on sale. 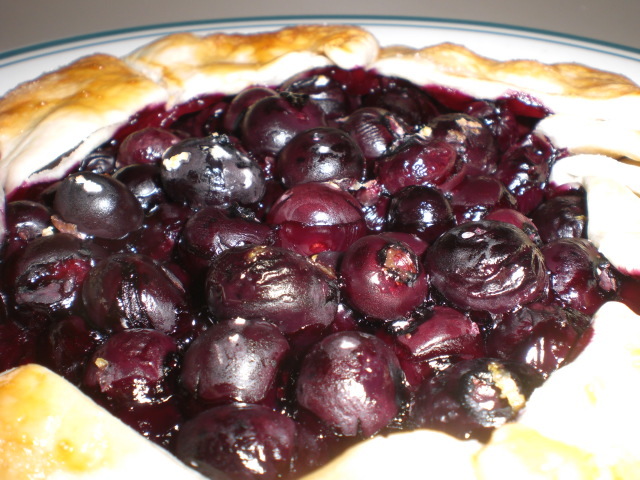 I believe when blueberries are on sale the majority of the census thinks blueberry pie. Not me! 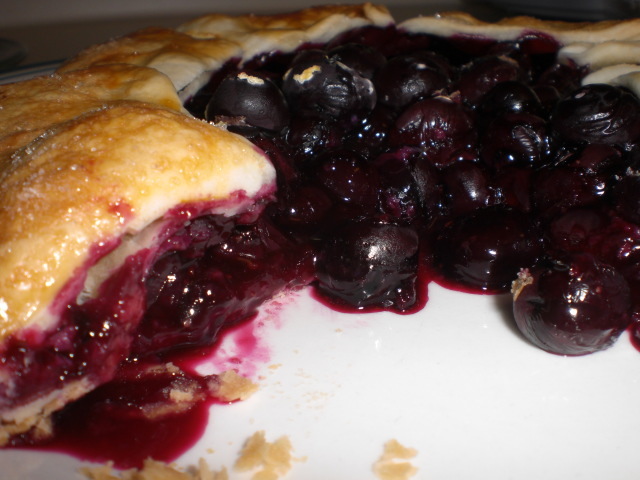 Blueberry pie is far to sweet for me. I like my berry desserts on the sour side. 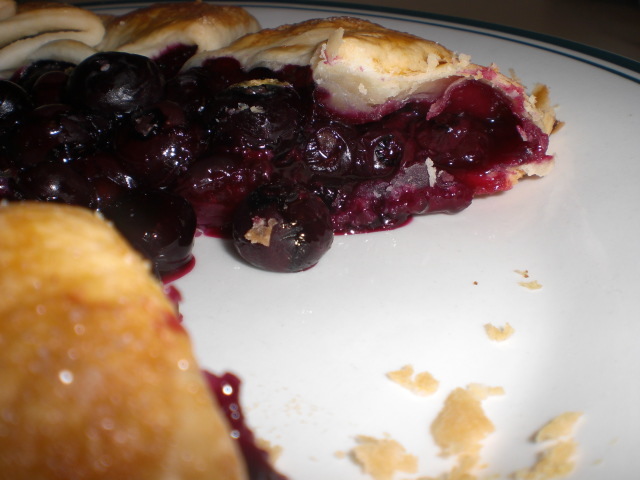 Every blueberry pie I’ve had has been sickly sweet. Even though pie diiiiiiiiiiiid sound pretty good. Then I remembered a dessert I had in Chicago. A gallete. 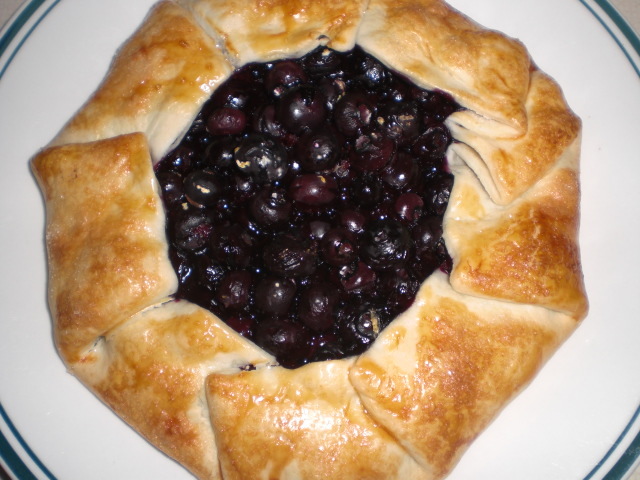 A galette is like an open faced pie, but better. 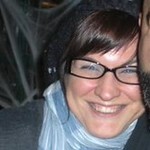 You will see what I mean by the end of this post. OK, here is the recipe I came up with. Feel free to edit along with your own tastes. I like sour, you may like sweet. I try to give you recipes you can adapt to your own personal liking. egg wash (one beaten egg mixed with a tablespoon of water. Cover bottom of a cookie sheet with tinfoil and spray with nonstick cooking spray. Preheat oven to 350. Roll out pie dough onto cookie sheet. 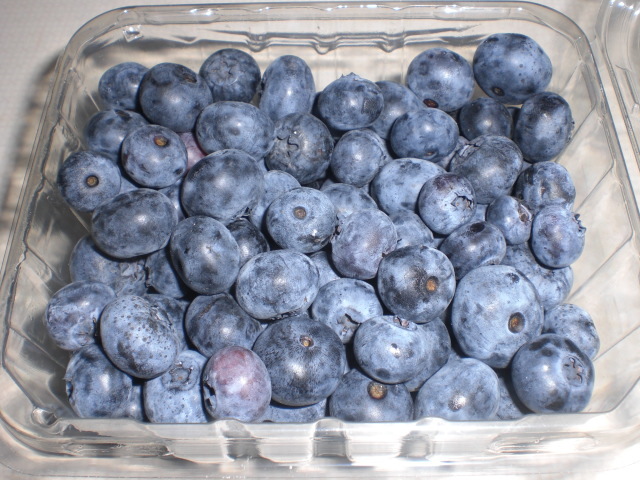 In a medium bowl add blueberries, cornstarch, lemon zest, sugar, and lemon juice. Gently stir until incorporated. 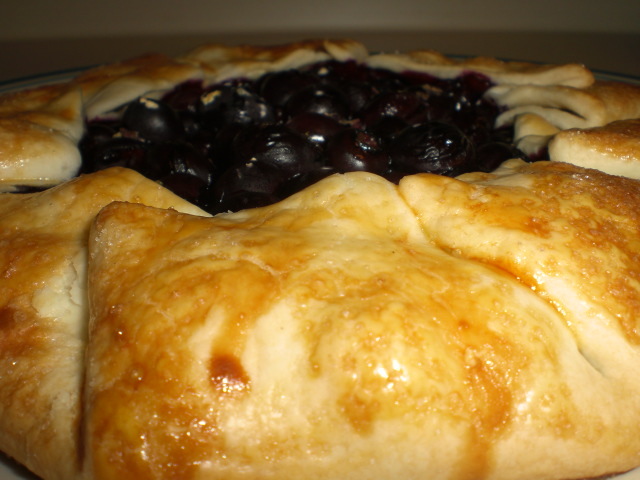 Add mixuture onto the center of the pie dough. 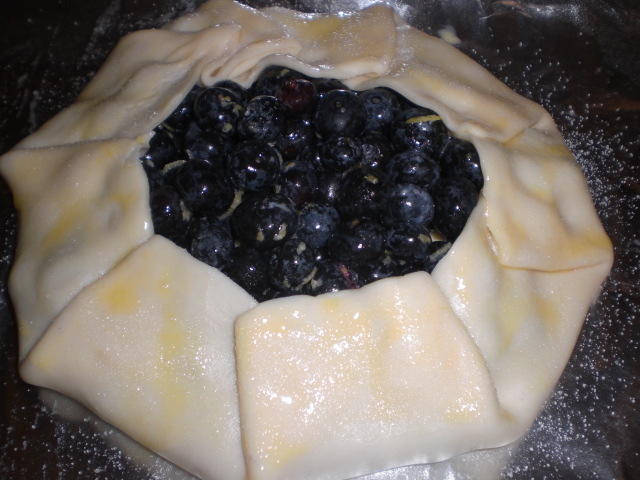 Fold edges around then brush with egg wash and sprinkles with sugar. 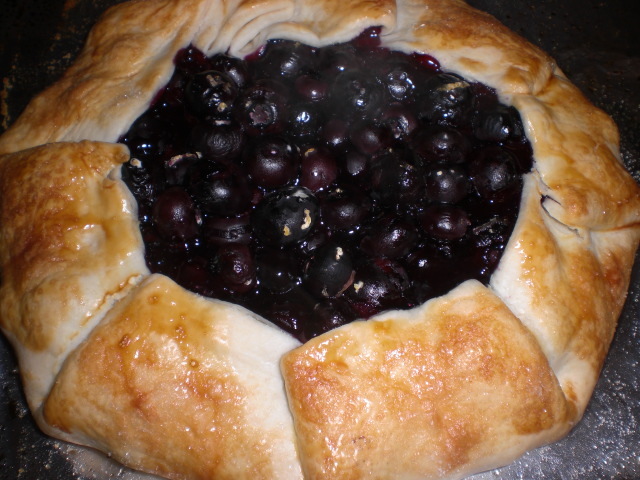 Pop into a 350 oven for about 30 mins or until edges are golden brown and blueberries are bubbling. Let cool, slice and enjoy. This is ridiculously easy to make, perfect for an elegant dessert when you have zero time to spare.